The Sri Lankan High Commissioner to India Austin Fernando in an interview with the Indian newspaper ‘The Hindu’ discusses voluntary repatriation and relief package for returnees. 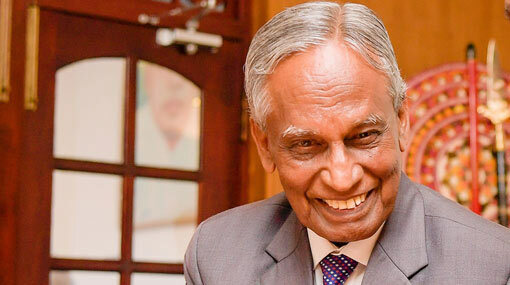 At 76, Austin Fernando, a veteran of the Sri Lankan bureaucracy, is perhaps the oldest to hold the post of High Commissioner to India. During his visit to Chennai to obtain first-hand knowledge of the situation pertaining to Tamil refugees, he said that “Sri Lanka needs them. We want them to return”. What has brought you to Chennai? How many such cases exist here? How is the process of voluntary repatriation of refugees being carried out? Is it happening in an incremental way? “Voluntary repatriation is not an easy [task]. When they [refugees] [get] repatriated, they wouldn’t want to get into difficult situations once again. They would prefer comfortable or convenient situations. What is the position on the structured package of assistance for those who are going back? “The package has several components. The basics have to be attended to, like house, land to live [on] and assistance for resettlement and rehabilitation. When Prime Minister [Ranil Wickremesinghe] was here [in New Delhi in October 2018], a decision was taken that the verification of people – 3,815 names [of the refugees] — should be undertaken by the Indian government. The returnee package has to be worked out and that is the job of the Sri Lankan government. In their interactions with you, did the refugees convey any concerns or expectations about returning? Out of 97,000 refugees, according to your assessment, how many are willing to return? “It will be known when the verification process is done. It is probably for the Home Affairs Ministry here to decide. What is your message to the refugees living in Tamil Nadu?